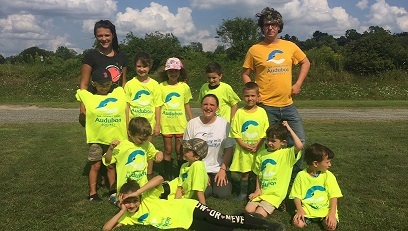 The Center at Pomfret’s Summer Camp runs through August 9, 2019. Click here to download the 2019 brochure. Camps fill quickly…be sure to choose your camp sessions when registration opens on February 12 at 8 a.m.
To register by mail, download the Mail-in Registration. HuffPost.com has compiled a list of “15 Perfect Spots in Northeast USA to Commune with Nature” and we are thrilled to let you know that the Center at Pomfret/Bafflin Sanctuary” in number 4. Bottom line though is that of the 15 Perfect Places, only four are in New England. We’re one of them! Reception on Sun., May 19, 2 p.m. Outdoor adventures for kids who don’t mind getting wet and dirty and having a blast in the process. Come for one day or all four. Limited to 20 per day. Call 860-928-4948 to register. Fee: $45 per day CAS members; $55 per day non-members. Click to download the Application and Permission Form. Located in Connecticut’s “Quiet Corner,” the Center at Pomfret is surrounded by our 700-acre Bafflin Sanctuary. The Center is a community-based facility offering programming for all ages year round. The Bafflin Sanctuary is actively managed for grassland, shrubland, and woodland birds, as well as other wildlife ,and is a nationally recognized Important Bird Area. Over 200 species of birds have been observed at Bafflin. The sanctuary is open to the public daily from dawn to dusk for hiking and birding. Programs at the Center at Pomfret include bird walks, trail hikes, art exhibitions, photography workshops, seasonal workshops and lectures, environmental education programs, and citizen science training and projects. Also offered are after-school nature clubs, summer and school vacation camps (ages pre-K to high-school). The Center manages Trail Wood in Hampton. Formerly the home of Pulitzer Prize-winning nature writer Edwin Way Teale, the 168-acre sanctuary now offers well-developed trails and programming for adults, families, and children. Visitors may view the small museum on the property as well as his writing cabin. Museum visits are by appointment only. The sanctuary is open year round from dawn to dusk for hiking and birding. Download more information about our center and its green features. our Edwin Way Teale Sanctuary in Hampton. It’s a Bird-a-thon! Join the fun and put your birding knowledge to work. How many birds can you identify over the weekend? Do it on your own, with your kids, or form a team. A great way to get outside and explore Connecticut. 6 a.m. – 4 p.m. 90 Bird Day, 2 p.m. ‘Birds of Connecticut’ – Exhibit Reception: The goal is to hear or see at least 90 species of birds in nine hours or less. We’ll be visiting many locations within a 10-mile radius. Last year we reached our goal with time to spare! Bring a lunch, drinks, and a snack. Call 860-928-4948 to register. Fee: $20 CAS members; $35 non-members. Do your kids need to blow off steam after school? The afternoons will be filled with fresh air, exercise and fun. Wildlife lessons will be quietly inserted along the way. Fee: $60 CAS members for the 6-day session; $70 non-members. Click here to download the application and permission form. Tuesdays, March 19 thru May 28, 8 a.m.
With access to over 1,650 acres of land, we will seek out a variety of bird species. Wear drab colored clothing and bring binoculars. A spotting scope is optional. Fee: Free to CAS members; $5 non-members. The goal is to hear and observe a Virginia Rail. We will also look for other species of birds. Possibilities of interest include the Common Snipe and Vesper Sparrow. Fee: $5 CAS members; $10 non-members. Sunday, April 28, 8 a.m.
Wednesday, May 8, 8 a.m. The group will carpool to various locations to observe numerous bird species from the road. If you’ve been reluctant to go on a bird walk due to limited mobility, this is your opportunity. We’ll call the birds to you! Register at 860-928-4948. Fee: $5 CAS members; $10 non-members. Saturday, May 11, 8 a.m.
Meet here at the Center and we’ll carpool to the Long Pond Preserve in Thompson, just south of Webster Lake. This property contains early successional habitat, mature conifer forest, a secluded 20 acre lake, and acres of submerged shrub lands. Migrants and nesting species such as Prairie Warblers, Scarlet Tanagers, Indigo Bunting, Field Sparrows, and Yellow Warblers might be seen. Fee: $7 CAS members; $10 non-members. Sunday, May 12, 8 a.m.
Bring your mother or grandmother out to see the assorted colorful birds of spring. Many species can be found this time of year including Bobolinks and Scarlet Tanagers. Fee: $5 CAS members; $10 non-members; Mothers Free! Wednesday, May 15, 6 a.m. – 2 p.m.
We will search for 20 species of warblers in one day, travelling to numerous locations. Last year we found 21 species! Register at 860-928-4948. Fee: $15 CAS members; $30 non-members. Thursday, May 16, 8 a.m.
Meet at the Center and carpool to this large forest in Thompson. Indigo Bunting, Prairie Warbler, Black-throated Green Warbler and Northern Waterthrush are some of the expected species. Fee: $7 CAS members; $12 non-members. Saturday, May 25, 8 a.m.
We’ll explore the famous Boston Hollow area of Ashford. Much of the land is owned by Yale. It is a unique area with a Northern forest feel. We will bird from the road in most cases. Fee: $7 CAS members; $12 non-members. Thursday, May 30, 8 a.m.
Meet at the Center and carpool to this large forest in Thompson. Whip-poor-wills and Praire Warblers nest at the scenic vista! Our wildlife tracking volunteers monitor study sites in Willington, Canterbury, Woodstock and Bethany. We have found track and sign of fisher, river otter, mink, red fox, coyote, as well as the occasional black bear, moose and porcupine. These sites also provide perfect habitat for white-tail deer, raccoon, beavers, and a variety of rodents. 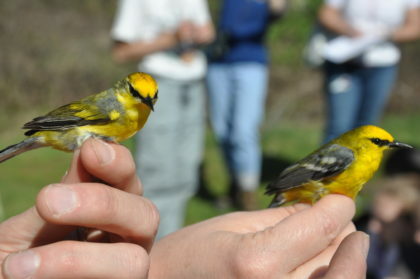 You can begin or continue training to become a Citizen Science Wildlife Monitor by completing six day-long training hikes that suit your schedule throughout the season. 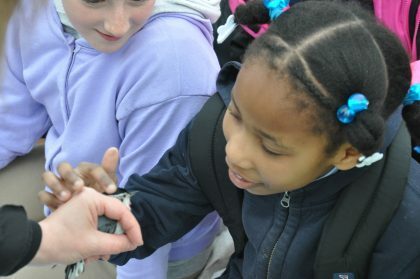 For more information, call 860-928-4948 or contact Paula Coughlin, Citizen Science Coordinator: paulacoughlin@charter.net. Hike dates subject to change due to weather. Want to add a little excitement to your classroom? Consider one of our in-class science programs. We have one-hour programs for kindergarten through sixth grade. Sample titles include: Winter Tracks, Life Cycles, The Dirt on Soils, Adaptations, Birds and Beaks, Food Chains, Skins and Bones, CSI Aquatic, Winter Birds, and Rockin’ Out, to name a few. Also, consider our four-hour school field trips The Dirt on Soil, Bird Ecology, Scratching the Surface (Geology), Watersheds and Erosion, Native Americans, EcoNiches and Adaptations, and more! The calendar fills up quickly. For more info and scheduling call 860-928-4948 or email Sarah at sheminway@ctaudubon.org. Sanctuary Manager Andy Rzeznikiewicz is available to conduct bird population surveys and can provide habitat management recommendations for your property. Private property owners, Land Trusts, municipalities or other groups that want an inventory of what bird species are breeding or using their property might be interested in this service. Conservation groups that are evaluating potential land purchases for conservation might find this service helpful as well. The best time of year to conduct nesting bird surveys is May and June. Call for more information: 860-928-4948. Are you a school, library or other organization serving the community? We’re glad to raise environmental awareness in all contexts! We can bring our wildlife video and bird slide show programs right to you. Call 860-928-4948 for more information on each program. Throughout the year, Sanctuary Manager Andy Rzeznikiewicz can take you on a private bird and nature walk geared to your expectations and locations. Andy can take you to your next life bird, local hot spots, or places he knows to find birds and wildlife for you. Owl walks and private woodcock watches are very successful in small groups. This is an excellent gift for that outdoor enthusiast who has everything. Call 860-928-4948 for more information. From the intersection of Routes 101 and 169, take Route 169 north. Take your first right onto Day Road. Follow for approximately one mile to stop sign. Turn right continuing on Day Road. Center less than one quarter mile up on your right.